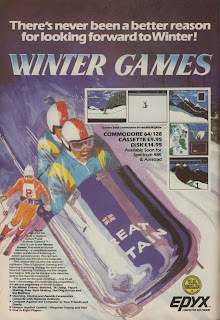 Developed for the Commodore 64 by Action Graphics, and converted for the Apple ][ in 1985, and for the DOS in 1986. 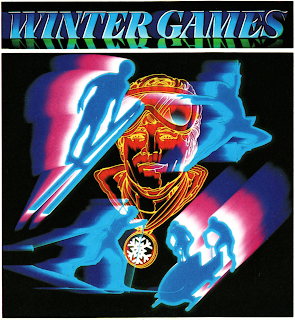 Converted for the ZX Spectrum by Sentient Software and Mark Alexander in 1986. 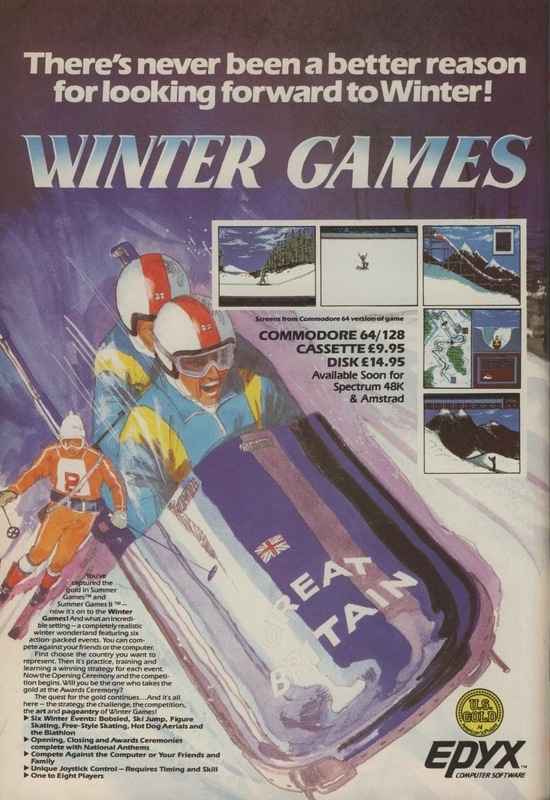 Converted for the Amstrad CPC by Sentient Software and Ocean Software in 1986. Converted for the MSX by Ocean Software and released by US Gold in 1986. 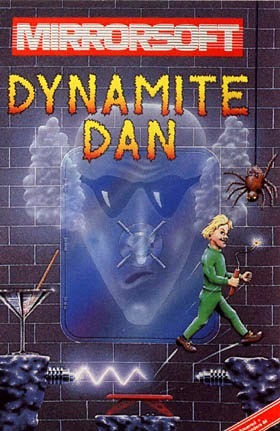 Converted for the Atari 2600 by Steve Baker, Peter Engelbrite and Tod Frye in 1987. Converted for the Atari 7800 by Atari in 1987. Converted for the Commodore Amiga and Atari ST by Incredible Technologies in 1987.
and released by Acclaim in 1987. Converted for the NEC PC-8801 by Pony Canyon. Also converted for the Apple ][ Game System and Macintosh computers, but I couldn't find any game files or information for this entry, so no information on those. A version for the Sega Master System was also in the works, and was advertised, but was never released. A prototype is rumoured to exist, but hasn't been recovered yet, so can not be tested. Written by Andrew Greene and Robert Toone. Additional coding by Greg Holmes, Chris Shrigley, Shaun Hollingworth, Peter Harrap, Colin Dooley and Chris Kerry. Music by Ben Daglish, graphics by Steve Kerry and Terry Lloyd, loading screen by Marco Duroe. Released in 1987 for the ZX Spectrum, Commodore 64, Amstrad CPC and MSX. Converted by John Mackay for the Acorn BBC Micro, and released by Gremlin Graphics in 1987. Converted by Wise Owl Software Ltd. for the Thomson MO5, and released through France Image Logiciel in 1987. Unofficial (?) conversion for the Sharp MZ-800 written by Bill Gilbert and released through Firefly Software in 1988. Unofficial conversion for the Commodore Plus/4 by Tamás Sasvari, Valeria Feher and Peter Feher in 1992. 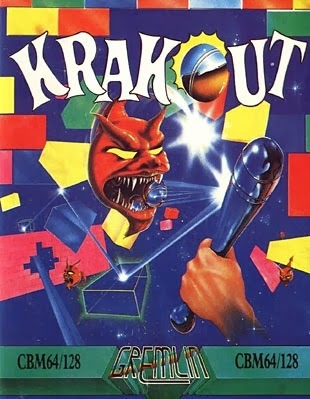 After having done a comparison on Batty a couple of months ago, I have had a few people suggest that I do a comparison on Krakout, another good variation on the breakout theme. So, while I'm working on something bigger simultaneously, I figured that I might as well write a comparison on Krakout now to clear out some of the requests. Clearly, this game has its own fan base, perhaps even more so than Batty ever had, for whatever reasons. Since my blog has the arrogance to call itself "Finnish Retro Game Comparison Blog", I might as well write a quick retrospective of the blog so far on the Finnish independence day. This post is basically just a list of all the games so far featured on the blog, so if you have read everything so far, I thank you for that very much indeed, and you don't really need to take a look at this list, unless you really like lists. Written by Rod Bowkett for the ZX Spectrum 48k, and is claimed to have been converted for the C64 by himself, but this information is currently unknown. Amstrad CPC conversion was made by Dalali Software Ltd. MSX conversion was made by Mr. Micro Ltd. It is time to write about another game that is more regarded as a cult favourite than a real classic. Granted, the basic game mechanics are very clearly copied from Jet Set Willy and the likes, so there is not all that much different to recommend itself. But regardless of the small amount of originality, I happen to like Dynamite Dan more than Jet Set Willy, most likely due to it being slightly more possible to complete - which I never did, without a cheat mode, that is. At our favourite haunts, Dynamite Dan has earned a reasonably good reputation. At World of Spectrum, it has a score of 8.39 from 120 votes, placing it at #42 in their Top 100. Not too far behind, 28 Lemon64 voters have given it a 7.4. Generation MSX has given it a fairly good 3 out of 5 stars, and CPC Game Reviews website has given it an 8 out of 10. Additionally, the game was awarded the best platform game of the year according to the readers of the Crash magazine, and in 2004, the original ZX Spectrum version was voted the 24th best game of all time in a special issue of Your Sinclair magazine. Let's see how they really compare, then.